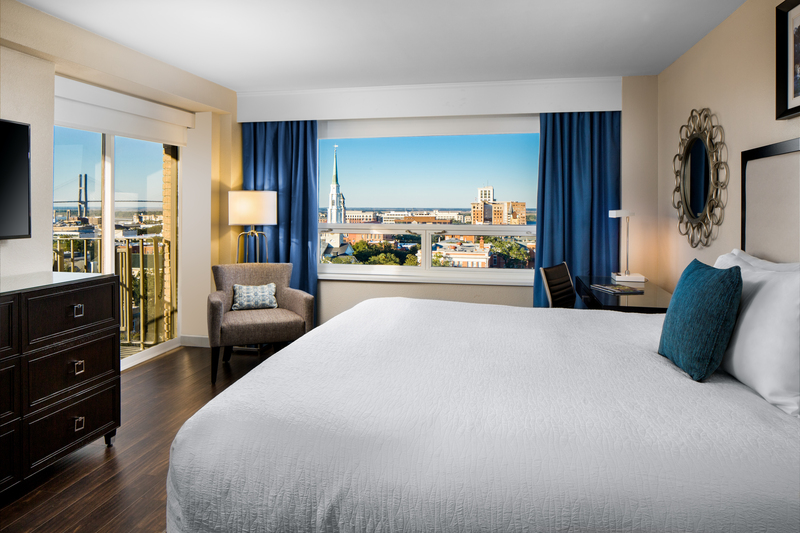 Immerse yourself in Southern hospitality at the newly-renovated Savannah Marriott Riverfront. 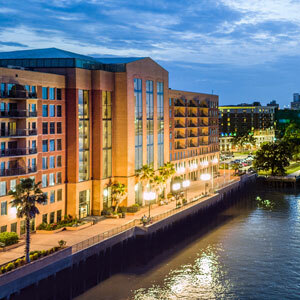 With an impeccable location on the water and easy walking distance to the Charles H. Morris Center, our hotel is also connected to River Street via the Riverwalk. Create lasting memories while enjoying a range of amenities and dining options. 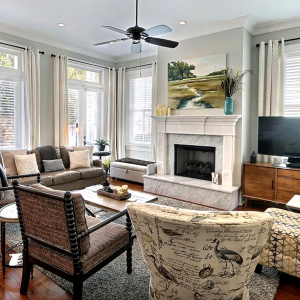 Cora Bett Thomas Savannah vacation rentals is a locally run business that helps you have the perfect experience in Savannah. All of our vacation rentals are located in and around historic downtown Savannah and are within walking distance to local attractions. Our units boast the comforts of your own home. Outside, you’re surrounded by antebellum Southern beauty. Inside, we’re mixing it up with modern flair. 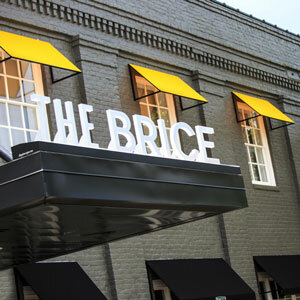 You and your pets will love The Brice’s classic-meets-cutting-edge rooms. Located just across the street from the Charles H. Morris Center, enjoy a meal at Pacci before your SMF show. Perry Lane Hotel welcomes you to experience genuine Southern hospitality. 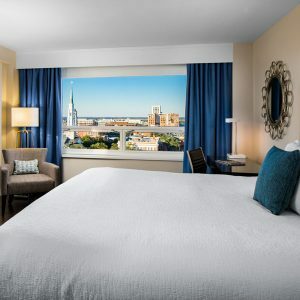 Nestled amongst the ardent squares in the heart of Savannah’s Historic District, the hotel beckons explorers and collectors to discover Savannah’s unique history. Southern Belle Vacation Rentals offers visitors one-of-a-kind accommodations for a truly unique Savannah experience. 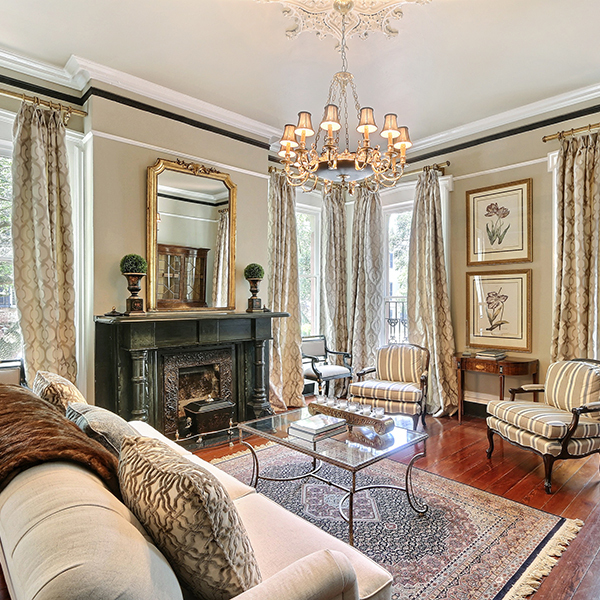 From historic manors to airy lofts, Southern Belle Vacation Rentals has the perfect home to meet your needs, whether you have a party of 2 or 30. Southern Belle Vacation Rentals is an expert in hospitality, and grateful to be Savannah’s top-rated vacation rental company. 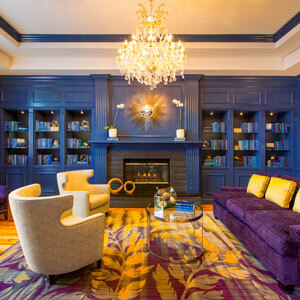 Our hotel boasts bold colors but has kept the Southern charm and architecture that has made Savannah the belle of the South. Music lovers rejoice as you can easily walk to all concerts in the historic district. 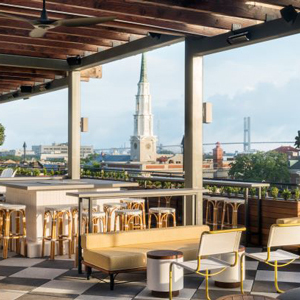 Overlooking Madison Square in the heart of Savannah’s Historic District, The DeSoto is a treasured landmark blending the elegance, history, and charm of one of America’s oldest cities with a generous dash of modern Southern hospitality. Savor an imaginative cocktail at Edgar’s Proof & Provision and farm-fresh ingredients at 1540 Room.